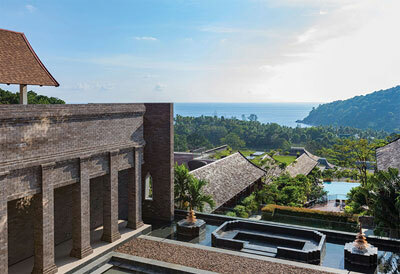 This year's hottest reasons to head back to the jewel of the Andaman. With a name meaning “raw” in Japanese, the restaurant serves an extensive list of sushi and sashimi, alongside grilled dishes. All the food is prepared by Japan-native chef Keiji Matoba, who has worked at five-star hotels like The Chedi Andermatt in the Swiss Alps. One star dish is the Kobe gyu (B2,500), a Kobe wagyu steak grilled over charcoal at your table and served with moshio mineral salt, a seaweed-infused salt that has been produced by the same method for nearly 2,500 years. Founded by art school graduate and island-native Torry Wongwattanakit, the store sits in a gorgeous pink Sino-Portuguese building on Soi Rommanee, where it’s pulling in both locals and tourists for its scoops inspired by Phuket’s iconic desserts like o-aew (clear jelly served with red beans and ice cream, B75), a-pong (crispy coconut crepe, B75) and bi-co-moi (glutinous sticky rice topped with coconut milk, B85). There are some 50 flavors in total, including booze-spiked options like Irish coffee (whiskey) and rum raisin (dark rum). The ultra-luxurious design hotel Iniala Beach House has partnered with Tim Butler of Bangkok’s Eat Me (No.23 on Asia’s 50 Best Restaurants 2016, No.7 in BK's Top Tables 2016) to open this new seafood venture. 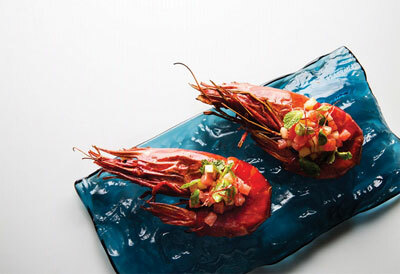 The first Butler restaurant outside of Bangkok plucks flavors from all around the world. A5 marbled wagyu beef from Shiga prefecture comes served with swordfish belly in red curry, while the Dutch Harbor king crab salad features heirloom tomatoes, basil sorbet and bloody Mary. 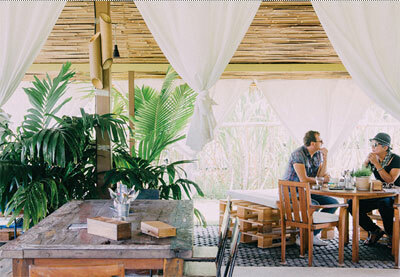 Pru takes its name from Pru Jumpa, the area where the resort’s own organic farm is located. Here, executive chef Jim Ophorst (who recently won the national round of San Pellegrino’s Young Chefs award) works with local producers like the neighboring goat farm and even goes foraging himself to create the likes of the eggplant selection dish, made of four kinds of eggplants cooked in five different ways—think textures of cream, mash, roast, crisp and puff—served with a sauce of five types of basil and house-made bottarga (cured fish roe). The set menu costs B3,000. 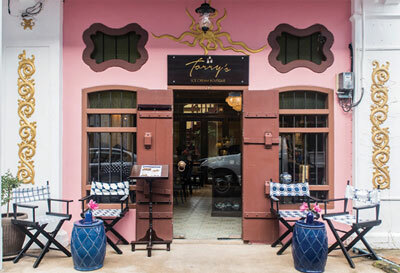 Bangkok’s Osha restaurant (originally from San Francisco) has taken hold of the dining room in Phuket Town's heritage Memory at On On Hotel to offer some creative high-end Thai dining. 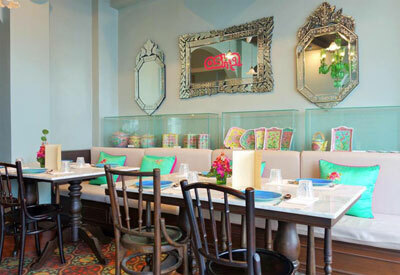 Amid minty and magenta decor, Osha Thai serves a list of its star dishes from Bangkok like dancing king prawns in fish sauce and tom yum goong, but you'll also find traditional Phuket dishes like moo hong (braised pork belly, B350), and nam prik goong sieb (shrimp paste with dried shrimp, B170). Mali serves dishes under the tagline “traditional Phuket food.” The menu charts all the Southern hits—crabmeat curry with rice noodle, moo hong (braised pork belly, B150), nam prik goong siab (chili shrimp paste with crispy dried shrimp, B140) and kua kling (stir-fried spicy pork/beef, B160)—as well as experimenting with its own dishes like chicken curry spring rolls and pla long nam (a hotpot of deep-fried seabass or garupa with coconut curry, B420). Phuket's artisanal rum distillery now has its own bar and also offers cocktail workshops. 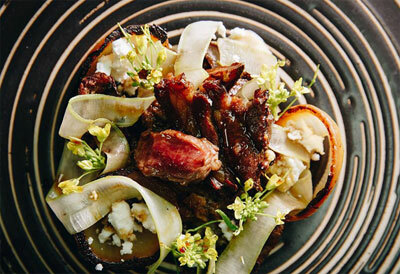 Stop by for a sip of its classic cocktails (from B300), bite-sized Mediterranean tapas and a fittingly tropical vibe. Finish off with a scoop of the delicious Chalong Bay rum and raisin ice cream (B100). Launched back in 2012, Chalong Bay Rum is produced from pure Thai sugarcane juice (not molasses, like most distilleries), crafted using traditional French distillation methods. A pool sits surrounded by fancy sunbeds and a bar, while the lounge extends right to the sands at Thailand’s iteration of Ibiza's legendary beach club. Jazz and tropical house tunes set the scene during the day, with underground techno taking over later on. Drinks-wise there's a huge list of spirits, wines and classic cocktails for you to choose from. 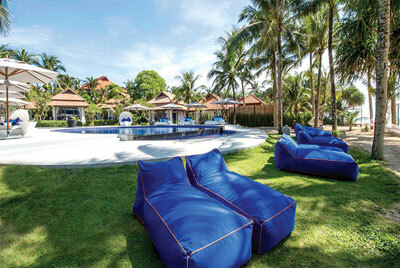 B1,000 entry entitles you to a single lounger and pool use. 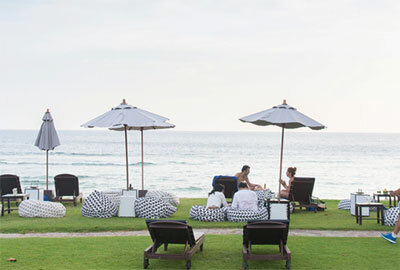 The resort is huge—414 rooms huge—and with the beaches around Phuket becoming increasingly busy, here you've got your own private beach that's only accessible by hotel guests. Newbies to scuba diving can even take a three-hour introductory course without having to leave the resort. 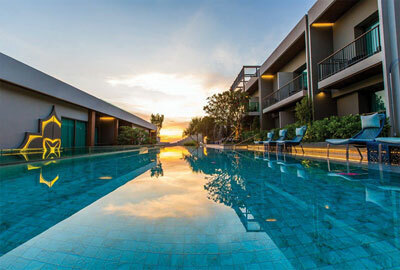 They also offer three massive swimming pools, a modest spa, muay Thai, kayaking and paddle boarding. Rates start from B3,600. 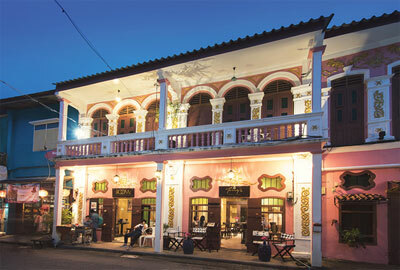 Patong’s newest boutique hotel looks to Phuket Town’s Sino-Portuguese culture to create somewhere elegant and different. Mai House Patong Hill is an alluring blend of turquoise walls, opium den-style daybeds and dangling steel lanterns. The Grand Deluxe Rooms feature bathtubs in the bedroom, or go one step further for the Grand Deluxe Jacuzzi room, which has its own outdoor Jacuzzi hidden behind a veil of tropical foliage overlooking Patong Beach. Rates start from B4,750. This swanky stay comes at a refreshingly low price point. The name means "Stay In Style" and the resort's 124 guest rooms and two suites come in a nautical white and blue color scheme with contemporary chevron patterns throughout. 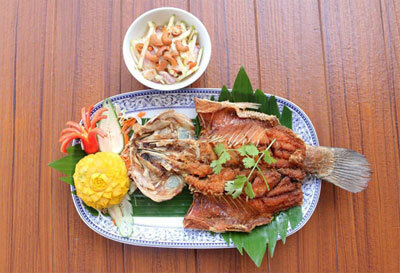 You'll find six restaurants and bars on-site that serve up local dishes with international twists and take advantage of the Kata sunset over the Andaman Sea. Rates start from B2,399. The southern end of Patong Beach is currently one of the hottest places to stay on the island. This resort boasts clean lines with a luxurious tropical edge, its 150 guestrooms coming with rich local woods and natural stones. Three saltwater swimming pools are split over different levels, while food and drink ranges from Sizzle steakhouse and Vista all-day dining to the Rendez-Vue Rooftop cocktail and tapas bar. Rates start from B6,600. 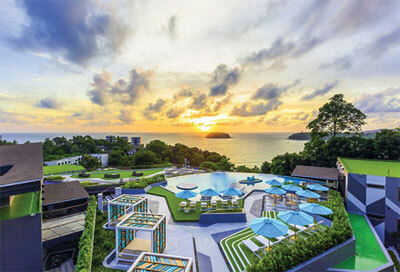 Just a 20-minute drive from Phuket International Airport, the Andaman-facing hotel goes with a deep blue theme for its 42 rooms and 17 villas, the highlight of which is the 125-sq-meter beachfront two-bedroom villa. The decor features Sino-Portuguese patterned flourishes on everything from the floor tiles to the cushions, matched with dark wooden furniture. Rates start from B2,500. Designed and owned by Phuket's Dhamarchitects, the two rooms are situated on the second floor of a 100-year-old twin shop-house on Soi Rommanee that was formerly an old-school coffee shop. These days, it stands out not only for its bright pink facade, but also its relatively shallow nature compared to other shop-houses in the area. The large, suite-like rooms consist of dark blue walls, a king bed and breezy balcony. Downstairs you’ll find popular dessert cafe Torry’s Ice cream (see page 6). 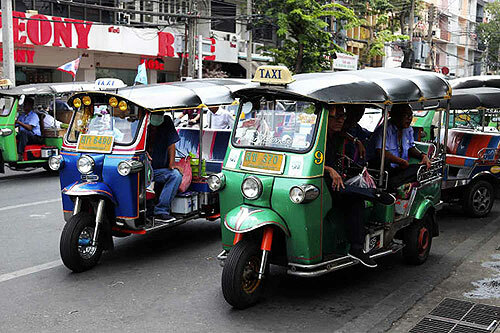 Rates start from B3,000.